Venezuela has criticized a joint communiqué by 11 Latin American countries calling on its government to “guarantee the right to peaceful protest”. Foreign Minister Delcy Rodriguez labeled the communiqué is a “rude meddling”. The 11 countries also condemned the death of six people in Venezuela’s anti-government marches this month. Venezuela’s opposition is planning a mass protest for April 19. The government has called on its supporters to hold rival marches. Venezuela is deeply divided between those who support the government of the socialist President Nicolas Maduro and those who blame him for the economic crisis and want him gone from power. There has been a series of anti-government protests in Caracas and other major cities, as well as marches by government supporters. In their joint statement, the governments of Argentina, Brazil, Chile, Colombia, Costa Rica, Guatemala, Honduras, Mexico, Paraguay, Peru and Uruguay rejected the violence, which led to the deaths of six people during the recent demonstrations. The Latin American countries called on President Nicolas Maduro “to prevent any violence against protesters” and also called on opposition groups “to exercise their right to demonstrate responsibly so that the day remains peaceful with people expressing themselves calmly”. They also called on the Venezuela government to quickly set dates for elections to be held “to solve the grave crisis which Venezuela is experiencing and which worries the region”. Regional elections originally due to be held in December 2016 were postponed by the electoral council to 2017, but a date has not yet been set. Municipal elections are also due to be held in 2017. Minister Delcy Rodriguez also wrote that “these governments misuse international law to back interventionism in Venezuela to attempt to govern the country from abroad”. 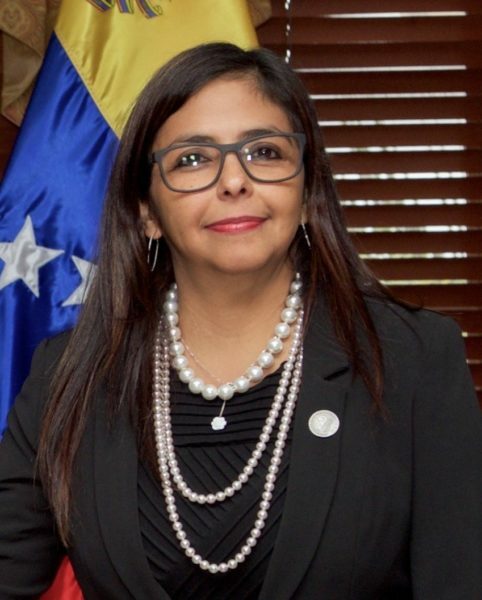 Delcy Rodriguez ended a series of tweets by saying that “there is no imperialist force in this world which can defeat the sovereign people of Venezuela”.